About | Chairman | Think of Seat, Think of Green, Think of Chairman! Are you working in a green healthy office environment? With the birth of new brand name – Chairman - by The Max In Chair System, we have certainly made a remarkable impression on the green healthy office concept. We are office chair expert who deeply care for comfort and back support in order to fit human body curves. Our chairs emphasize on functional, comfort, healthy, stylish and inspiring design. Human ergonomic office chairs with multifunctional and breathable features would certainly maximize the efficiency and productivity of work. Most notably, Chairman advocates the eco-friendliness and environment responsibility to our mother earth as well. We consider the of 3R environment protection concepts, which are reduce, reuse and recycle. Smart and careful in selecting materials would help in reducing environment impact and lower the production costs. The entire manufacturing processes are conformed strictly to green standard too. When the chair comes to end of service life, the components could be recycled into similar renewed items. Our chairs are engineered for sustainability, 97% recyclable complimented with Greenguard certification ensures the taking care of the world we live in. Our chairs are long lasting and safe for use as the products are certified through ANSI/ BIFMA X5.1-2002, FIRA BS EN1335, LEED CI 2.0, GREENGUARD INDOOR AIR QUALITY. Today, Chairman has an impressive list of mesh office chairs for customers who hunt for luxury, elegance and finest office chairs. 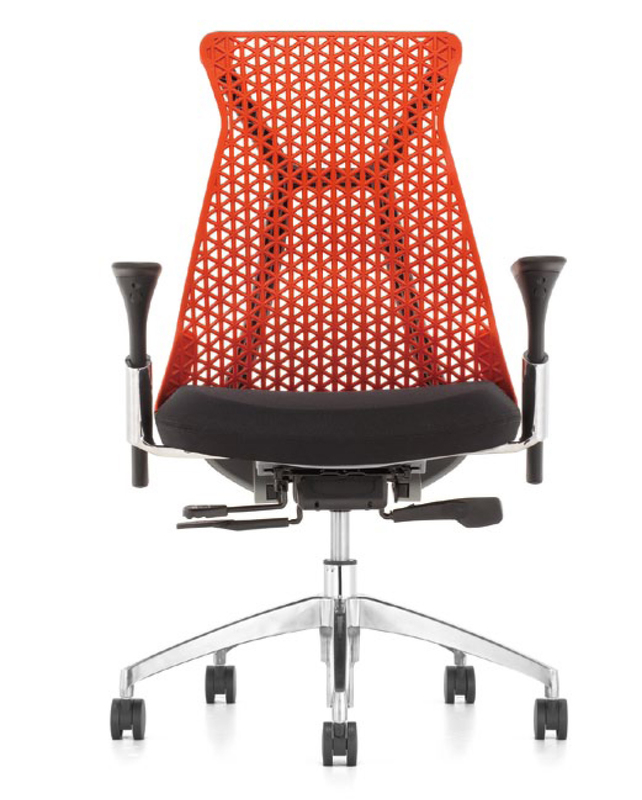 We are the premier and foremost source of mesh office chair for green and contemporary living. We also have the passion to collect the most exclusive and ergonomic mesh office chair among the world. Chairman has always been committed to enhance its position as a leading quality and classy design in office furniture industry. Let us return to a healthy, comfort, green and eco-smart office in our life! Think of Seat, Think of Green, Think of Chairman! By accessing the website at https://chairman.com.my, you are agreeing to be bound by these terms of service, all applicable laws and regulations, and agree that you are responsible for compliance with any applicable local laws. If you do not agree with any of these terms, you are prohibited from using or accessing this site. The materials contained in this website are protected by applicable copyright and trademark law. This license shall automatically terminate if you violate any of these restrictions and may be terminated by Chairman at any time. Upon terminating your viewing of these materials or upon the termination of this license, you must destroy any downloaded materials in your possession whether in electronic or printed format. The materials on Chairman's website are provided on an 'as is' basis. Chairman makes no warranties, expressed or implied, and hereby disclaims and negates all other warranties including, without limitation, implied warranties or conditions of merchantability, fitness for a particular purpose, or non-infringement of intellectual property or other violation of rights. Further, Chairman does not warrant or make any representations concerning the accuracy, likely results, or reliability of the use of the materials on its website or otherwise relating to such materials or on any sites linked to this site. In no event shall Chairman or its suppliers be liable for any damages (including, without limitation, damages for loss of data or profit, or due to business interruption) arising out of the use or inability to use the materials on Chairman's website, even if Chairman or a Chairman authorized representative has been notified orally or in writing of the possibility of such damage. Because some jurisdictions do not allow limitations on implied warranties, or limitations of liability for consequential or incidental damages, these limitations may not apply to you. The materials appearing on Chairman's website could include technical, typographical, or photographic errors. Chairman does not warrant that any of the materials on its website are accurate, complete or current. Chairman may make changes to the materials contained on its website at any time without notice. However Chairman does not make any commitment to update the materials. Chairman has not reviewed all of the sites linked to its website and is not responsible for the contents of any such linked site. The inclusion of any link does not imply endorsement by Chairman of the site. Use of any such linked website is at the user's own risk. Chairman may revise these terms of service for its website at any time without notice. By using this website you are agreeing to be bound by the then current version of these terms of service. For purposes of this Agreement, “Service” refers to the Company’s service which can be accessed via our website at https://chairman.com.my or through our mobile application. The terms “we,” “us,” and “our” refer to the Company. “You” refers to you, as a user of Service.